Having a good and ergonomic office chair or gaming chair is essential if you care about your health. Having a bad gaming chair can have a serious effect on your health and they will often lead to lower back problems. That’s why you should take your time and do a little research beforehand on which PC gaming chairs are the best ones for exactly your needs and budget. The chair you use while gaming on your PC doesn’t have to be a “gaming chair”. A lot of gamers use a regular office chair while gaming and that’s also completely fine as long as they are ergonomic and you can sit on them for long periods without getting lower back problems or other health issues. Having to research about PC gaming chairs can be a daunting task, but that’s what we experts are here for. We have performed some extensive research on this subject and reviewed dozens of PC gaming chairs and office chairs as well in order to come up with the following list of the top of the tier gaming chairs today. Our list includes budget gaming chairs, mid-range PC gaming chairs, and expensive gaming chairs as well, so without further ado, here are our expert recommendations on PC gaming chairs right now. More or so often, people just want a simple and organized table to look at for free. Have a look at the table below for an updated look at the best gaming chairs of 2019 that we keep updated on a monthly basis to ensure that the quality remains high. Looking for the best computer chairs for gaming? A good and comfortable chair for long sitting periods can be a hard task, especially if you’re looking for the best PC gaming chair for the money, but we have done the hard work and found the best PC gaming chairs in April 2019. As you can see, our top pick is the Herman Miller Aeron. It’s simply the chair for gaming for longer periods of sitting in front of your computer as it’s extremely comfortable and adjustable. Figuring out whether you should upgrade parts of your rig at home or else buy a new seat is a straightforward choice: you see good stuff directly from your gaming PC, so that’s where your attention will usually go. The chair and whatever it does for you tends to get short shrift when there’s something critical to your PC’s operation which needs to be attended to, like installing a great new GPU or MOBA-optimized mouse to enhance your gameplay. But don’t you realize that a chair does more than just provide a space to park your end and rest your back against? Keep in mind that you could be using your chair almost every day for the better part of a decade. Wouldn’t you prioritize your bodily comfort so that your hands and eyes can get on with bullet fest or the defense strat? To this end, we have located some great PC gaming chairs models and listed each with its features alongside our opinions of them, with details further down in the segment on the finest chairs for gaming of 2019. These are currently the top gaming chairs available to buy today. If you’re still asking: Which chair for gaming is the best one in 2019? Well, then look at the table at the top of this page. Our extensive research into this somewhat difficult topic allows us to make this easy table showing you our findings. These gaming chairs for PC are the best according to our comprehensive research on the subject and other professionals specialized in the field share most of our picks as well. We hope that the table of the best gaming chairs 2019 has helped you pick your next top chairs for PC gaming for your budget and needs. Be sure to check out our best computer chairs reviews down below. There are those gamers who are more careful about setting up their desktop environment for extended play than the rest. If you’re one of these serious types, putting in a lot of time while seated and engaged in intense sessions is second nature, so it’s a good idea to use a relaxing and sturdy model. And finding the most ergonomically sound chair that’s also good for your posture will also have you choose one according to your individual preferences. If you are still wondering out how to add to your setup a good computer chair, you’ll find it helps to get a review of what’s available. Secure your gamer chair today! We list some of the more common video game chair models available in the market, and from here on we set out detailed reviews of each chair’s aspects and identify the best-in-class candidates which you can short-list to ease your search. Decent chairs at these prices normally offer only a basic feature set, but a few models are of good quality. These are good, affordable gaming chairs but you shouldn’t expect much from them as they are not on par with the mid-range and higher-end office chairs. If you’re wondering what the ultimate gaming chair on a budget is, then this section should have some recommendations that you should consider buying. LexMod’s Veer Office Chair sells for under a hundred dollars and features breathable mesh cushioning, which is great if you tend to feel the heat in the middle of intense play. Its waterfall-style seat relaxes your legs for healthier postures, and each armrest has adjustable elevation for greater comfort, although there is no tilting feature. 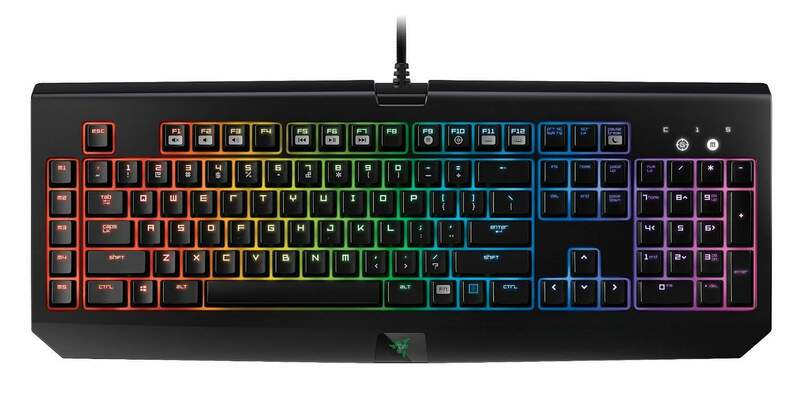 The model comes in nine colors to suit most setup and room themes. This gaming chair is certainly one of the better console gaming chairs out there today. 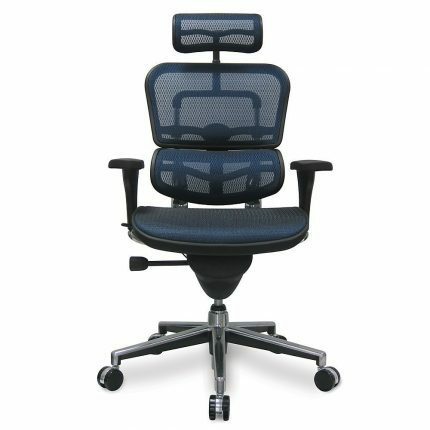 If you can do away with the elevating chair arms you can consider the Ardor version of this model, which is similarly well-built but priced slightly lower. AmazonBasics’s Mid-Back Leather Office Chair is among their first private-label chair items. Upholstered in black leathered style, its professionally-designed features are rare at this price level. 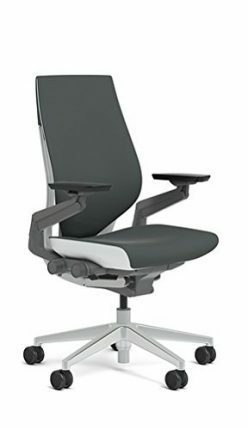 Pneumatic height and backrest tilt and reclining tension adjustments are standard ergonomic features. The even backrest shape is satisfyingly comfortable and the dual-wheel caster sets provide a safe and steady platform. This is a good console gaming chair as well, but for dedicated console gaming, we recommend a Rocker gaming chair that you can find on the bottom of this review. The firm also sells this model with mesh cushioning instead of leather-type upholstery at a somewhat lower price. Models costing from $100 to 400 usually offer good value for their mix of price and features. 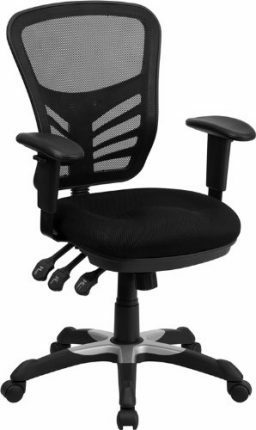 Flash’s Mid-Back Mesh Chair with Triple-Paddle Controls (Offex HL-0001-GG) is one of the best-priced chairs featuring effective ergonomic features. 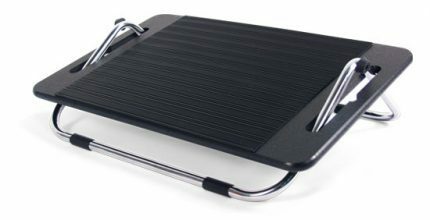 Its flexible design and many adjustments can adopt people of most sizes and there is enough breathable material to keep gamers cool and relaxed for a long time. The company also offers a range of similar models made of different materials to suit various needs. 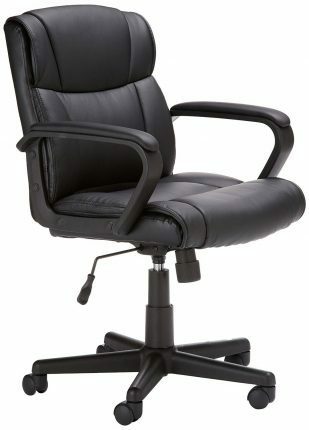 The company offers the similar Leather Executive Office Chair with Triple-Paddle Controls, which has a taller backrest and comes upholstered in a leather equivalent material. Their Leather Guest Chair is an inexpensive model without wheels which can serve as a side or guest chair. With its slick black finish frame and seat and armrest upholstery which comes in four colors, this lightweight model can be readily transferred to other rooms. As a second seat that can be used by spectators and guests, it makes a lot of sense. Flash’s Wood Ergonomic Kneeling-Posture Chair is their distinctive creation. It is highly recommended by chiropractor specialists and is one of Amazon’s best-selling furniture items. With its oddly-styled yet functional configuration, this model has worked well to relieve persistent back and poor posture issues for many. For these cases, this model can be a great second seat to have around your gaming setup or office desk. Office Star’s Professional Air-Grid Back Leather Chair is a well-built chair which will complement any office setting with its set of industrial-grade wheels. It features adjustable-elevation arms with soft padding and tilting mechanism with tension, all of which are designed to encourage healthier sitting stances. The seat is upholstered in leather and the mesh-like backrest affords a great mix of comfortable and breathable use, and this model usually sells for very reasonable prices. The company offers a lower-priced option with basic features, its Screen-Back Task Chair, at around half the price. This would a good alternative for use by spectating users. DXRacer’s Gaming Chair has good ergonomic features and has strong styling in several colors, which should please those looking to equip with sporty-looking forms and themes. Various models come in different clothing and vinyl versions, as well as a breathable racing-seat material that feels great. In the e-Sports community, these chairs are quite well-known, especially among European fans. The DX Racing chair is a great gaming chair and one of the best pc gaming chairs in the midrange-end spectrum. The good performance in both office tasks and gaming is emphasized by DXRacer’s focus on high-endurance comfort in either home or office settings. But they didn’t neglect the health aspects of using PCs, for these models are designed and built to be used comfortably for many hours at a time. Lumbar- and head-supportive pads are standard, along with a complete set of ergonomic adjustments, such as backrest height-elevation, tilt-tensioning, and seat pan adjustable features to help you align your spine with the seating position. The DXRacer console gaming chair is among the more expensive chairs out there, but the company does sell some basic versions at more sensible prices. Just keep in mind that all models are designed and constructed with high-quality materials, so even the value versions will not be that inexpensive. One great advantage of these models is that they can be available in the livery of the e-Sports org you’re following, complete with your favorite team’s color and emblematic themes. Thus there are more customization options available than for almost any other make. Being able to get your seat in a semi-custom finish matched to the majors is a really cool feature of DXRacer’s products. If you follow the competitive e-Sports scene, you may have seen their seats at the big gaming events. This may not be big to you but for those think it is, the practice could be the decisive thing which gains respect. D or Drifting series comfort models for extended playing. F or Formula value-priced models. K or King or deluxe models with new 5D slide and extra features. M or Maximum comfort models which are broader than D Series chairs. R or Racing models with tall backs for average-sized, slim individuals. 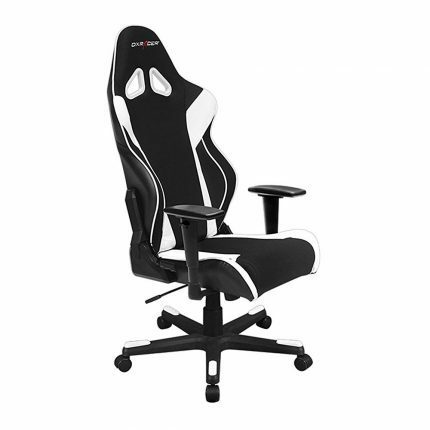 U or Universal models with the broadest seat and larger backrests for larger gamers. DXRacer’s chairs normally feature tall and straightforward backrests, and removable lumbar and neck cushions are standard. A rear mechanism with 180 degrees of adjustable range, height-adjustable arms, tilting and tensioning mechanisms, and adjustable-height gas springs for seat elevation round out the solid ergonomics of these substantial chairs. Each unit can weigh almost 70 pounds and has a feeling that reminds of the kind you’d find in high-performance racing cars, which is very motivating. The pricier versions cost upwards of $400 or more as in the example of their King Series model, so DXRacer’s products aren’t exactly cheap although neither is their look and feel. These types can cost upwards of four hundred dollars or more and usually come with the best designs and materials. The manufacturers’ warranty periods can extend to as many as five years or even longer. 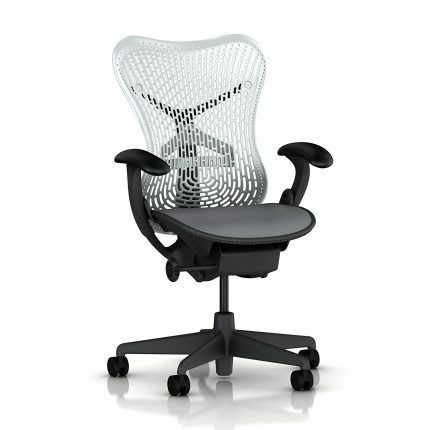 Eurotech’s Ergohuman Mesh Ergonomic Chair is a high-end model that’s priced accordingly. This smooth, futuristic-looking model features three modular sections which provide complete spinal support along with several points. The mesh-type version allows great breathability and comfort, although versions in leather are also available. There are several inviting color themes in addition to black. These chairs come with long five-year warranties for the upholstery and padding, along with a lifetime guarantee against mechanical issues. Almost every surface is adjustable; the armrest alone features multiple mechanisms such as elevation and turn and also back-and-forth slide. The backrest’s tilting angles are similarly numerous with four latch points to choose from. The rather tall back integrates modular support up until the neck, which is a big advantage for taller gamers. The high prices may give you pause, but what this high-end chair will provide is a serene sense of tailored comfort for your body. Moving on, we have the Herman Miller Aeron. Found in three versions, the Aeron Miller Aeron is extremely comfortable to sit in and it’s a top contender for one of the best PC gaming chairs of 2019. It feels amazing to sit in and I personally bought this chair after suffering from lower back pain due to my previous office chair being too stiff and not ergonomic. If you’re an adult and you seriously value your health and are willing to spend over $500 on a PC gaming chair, the Herman Miller Aeron is the best gaming chair for adults. This is currently considered one of the best chairs for PC gaming by professionals and international companies. Well, this PC gaming chair and the Herman Miller Embody, which is an office chair from the Herman Miller company as well. The Herman Miller Aeron might be expensive, but it’s surely worth it, considering that it’s your health we are talking about. If you sit in front of the desktop a lot, you should consider saving up for a high-end gaming chair instead of lower-end PC gaming chairs. It’s not even about gaming exclusively, you can do anything with this amazing ergonomic PC office chair. It can be bought in different sizes (A,B,C) and in different models as well. Be sure to get one with the lower back supporter as you can see in the image above. I basically recommend to purchase one that is fully loaded with full ergonomic features and armrests as well. Overall, the Herman Miller Aeron is one of the most comfortable chairs for gaming out there today. It’s simply the ultimate gaming chair of 2019. Nothing beats it according to our tests. Given its price tag, it’s also a luxury computer chair and one of the best gaming chairs for PC. I personally think the Herman Miller Aeron is the best gaming chair of all time and also the best PC gaming chair 2019. Experts tend to agree with me here and a lot of gamers and enterprise customers alike buy this chair without experiencing any form of fatigue after long periods of usage. Steelcase’s ultra-comfortable and ultra-pricey Gesture is one of the few ergonomic models which functionally rivals Herman Miller’s best in this rarefied category, and the brand doesn’t lack for corporate prestige either. The densely-packed foam cushions are very comfortable, especially for gamers whose bodies tend to stay cool even during intensive gameplay. The company researched thousands of people to determine target ranges of human postures, and they designed the seat and backrest mechanisms to mutually balance their movements while flexing its backrest to support your torso whenever you recline. Every other ergonomic feature is similarly refined. The Steelcase Gesture is a very good and probably one of the best PC chairs out there today. It’s the ultimate PC gaming chair along with the Herman Miller Aeron, according to our tests of the best chairs for gaming. This has to be a top contender for the best console gaming chair as well and if you got a PS4, the Steelcase Gesture is considered the best gaming chair for PS4. Other than that, we highly recommend an X Rocker gaming chair if you’re a console user. They’re more suited for playing on a TV than on a monitor as your face will be low to the ground if you put it there. The company sells an earlier high-end chair known as the Leap, which is actually their best seller. This model also employs a number of automatically synchronizing and conforming mechanisms similar to that of the Gesture’s system, known as Liveback. It was earlier considered to be the best high-end ergonomic chair for the money by reviewers such as Wirecutter’s site. Herman Miller’s Mirra is among the most striking ergonomic chairs one can buy. As the pioneering brand in ergonomic seating, it’s a company whose products are the kind you might spot in the top offices of Fortune 500 firms. With more than dozen colors offered, the chair is very solidly built in an attractive smooth finish. The patented breathable mesh fabric keeps your torso at comfortable temperatures for long hours and also assists in evenly distributing your mass, while waterfall-style seating helps to relax your lower body and promote ergonomic positions. 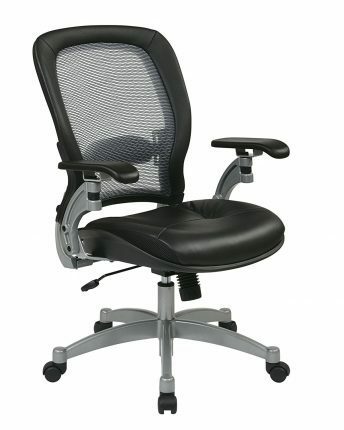 Overall, the Herman Miller Mirra is a very solid PC chair just like the Herman Miller Aeron. 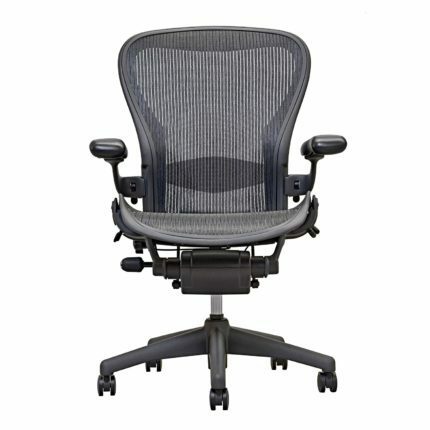 Herman Miller’s Aeron is the classic high-end ergonomic model. For a price close to a thousand dollars, you’ll be able to enjoy top-class seating like many big CEOs. The design features thorough ergonomic adjustments and compensating mechanisms which automatically conform to your sitting posture as you move or alter your stance. It has a 12-year warranty with full coverage of all defects, and like the other models the chair is reassuringly built and supported as the company ensures that parts availability extends into decades. If you’re spending at this stratospheric level you may want to consider springing for the highest model, the Embody, which incorporates the features of the other models plus a flexible contouring backrest much like Steelcase’s mechanism. This model costs well north of a thousand dollars, but then what’s a few hundred more after you’ve already put in a few thousand in the best gear and environment? And seeing this chair’s beautifully-flowing surfaces is pleasing enough even before you get to sit on it. Costing $100 or less, it’s hard to argue against the AmazonBasics Mid-Back leather chair. It offers some of the most-needed features and is the best-value choice available at the moment. It’s a very affordable gaming chair that we recommend if you are low on budget. We decided to give the IKEA MARKUS this title, as it gives you a lot of value for the amount of money it costs. The back is very tall, making it an ideal choice for taller men and women. 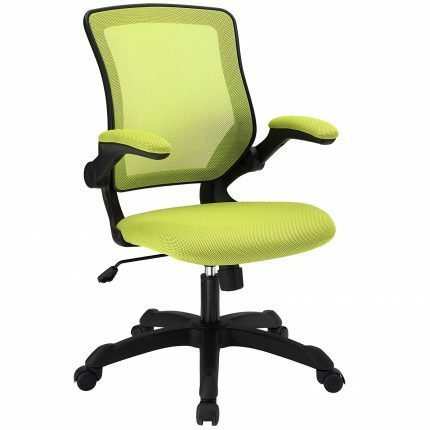 In the middle $100-400 category, we believe the Office Star Professional PC chair offers a good mix of well-designed features and durable materials and is our pick for best-in-class. This is borne out by its top-selling sales performance in Amazon’s office chairs category. As for our recommendation as to which chair is the best overall, in this case, it’s true that spending much will get you much more. For a totally ergonomic chair that will last for ages and prevent huge back-related medical bills later in your life, Herman Miller’s Embody comes highly recommended. That said, Steelcase’s Gesture offers the same level of top-end features and is arguably more advanced in its mechanical design. It is also built and warranted just as solidly as Herman Miller’s best, although the latter’s mesh-like upholstery may still be better-suited to players who tend to warm up and sweat a bit. Hailed by PC gaming and review sites as ergonomic wonders, Gestures are now regarded by many as the very best ergonomic chairs that gamers can find. We included the X Rocker 51259 Pro gaming chair in our guide for several reasons. For one, if you’re a console gamer, you’re most likely using your TV for gaming. 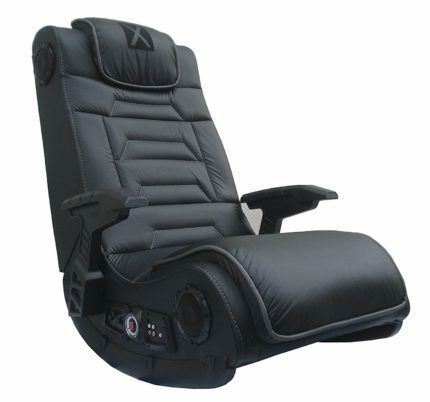 With an X Rocker console gaming chair, you can just sit back and enjoy your gaming in front of your TV. The X Rocker 51259 Pro is also a great chair for other tasks such as reading and for relaxing as well. This particular gaming chair features four speakers for a total immersion surround sound and it also features a good subwoofer. The headrest is padded and the gun-stock arms allow for maximum comfort and stability. Furthermore, the X Rocker 51259 Pro console gaming chair features a built-in wireless receiver and a wireless transmitter to work with sources with RCA outputs. There are also optional RCA cables included, of course. All in all, this is a great console gaming chair like the other X Rocker gaming chairs out there. If you are searching for the best computer gaming chair right now and want to search the market yourself, then here is our buying guide to choosing the best gaming chair today for your needs and budget. Your well-being and its aspects should also be considered as a practical thing, for even young users shouldn’t treat their health status lightly. Recent research in the EU has discovered that 80% or so of graduates and working adults are stricken with back and muscle pains, which has led to their being less productive or competitive over time. It doesn’t help that spending time in a seat for too many long intervals can result in severe long-run effects. You wouldn’t want to be seen as one of the hunched or stooping, middle-aged types who’ve each spent his working life on sedentary tasks at support desks or at driving long-haul trucks much of the time. If you can arrange your seat, desk, and screen to complement each other’s position so that you can attain good postures all day long, this would go a long way towards keeping those unhealthy scenarios from away from you. It’s vital to remind yourself every so often to stand up and walk about regularly in between matches or jobs, even if you’re already enjoying the ergonomic benefits of a supportive and fully-featured chair. Putting in a few short and quick stretching and aerobic routines would be even more effective. Sadly, it’s common for gamers to kind of ignore this advice since most are focused on keeping their machines updated and running smoothly. But it’s good to realize that regular movements away from the seat are the most effective way to relieve the aches and other discomforts of spending much of your time seated while stressed. You can add to the ergonomic advantages of a decent chair the beneficial practice of taking a quick break every now and then. This will help in the long run with teaching and assist you in optimally caring for your body and preserving your posture. There’s the question of how much you should invest in something you’ll be personally using. A commonsensical guide is to spend according to the amounts of computing and play time in your daily routines. Different players and workers desire different levels and qualities of experiences in their work and play, and the number in hours of each activity varies greatly for both laidback and die-hard users. Many occupy some of their time with routine and work tasks as well as games and browsing. There’s a trend of employees who don’t have full-time office jobs arranging with their managers for them to work part of their week at home. If you’re one of this class of new-economy workers who enjoy such flexible work conditions, you’ll surely end up occupying your own chair for even more hours than you would do otherwise. In this case, we think you should consider spending more for a fully adjustable office chair built to higher standards of comfort and durability. Given that you’re putting in long hours at your computing station while online with your friends or on some personal quest, it can make a lot of sense to include more than regular office chairs in your search. You’ll be spending the better part of most days and the more memorable times of your life while seated, so like with beds you might as well choose a good one suited to your needs and desires. Now if you’ll be moving around a lot or only occasionally into a few hours of casual games during the week, you should be able to manage with less pricey models with fewer ergonomic features. See the image below to see how they look. You don’t have to be ill at ease while seated and working or playing. A well-designed chair can be almost as relaxing as a reclining lounger, and sturdy ones can remain comfortable and steady for many years. Thus you have to figure out which makers incorporate fuller ergonomic principles in their designs, as many tend to just employ marketing short-cuts in design and manufacture to make their products look appealing. The best PC gaming chair can also just be the most and best ergonomic office chair. The following are four areas of consideration you should think through before buying. If you want to buy a gaming chair online, you could just go on a search engine like Google and type in “PC Gaming Chair Amazon” or “Office Chairs for Sale” and you would be able to shop online through hundreds of gaming chairs easily. Most gamers spend a lot of time sitting in their computer chair. This is why comfort is essential to choosing the best gaming chair for you, as you don’t want any back pains or any other serious physical stress. What you want to look after is an ergonomic computer chair as they will greatly help you. You need to sit well and comfortably when gaming on your great gaming monitor, right? If you came here wondering: what is the best PC gaming chair 2019? Well, we should have answered that question by now. We hope our buying guide was of any help to you. What you buy shouldn’t have to be some designer item, but surely you won’t enjoy a chair that looks like little thought was put into its styling and manufacture. Sturdy-looking chairs tend to be models designed to be durable. On the other hand, you might like something sparklingly colored and themed to match the looks of a lively gaming cranny. Or maybe you’re all for the minimalist look in your ways, for which functional black-leather or -mesh may be more in tune with your spirits. We hope our list of the best gaming chairs helped you choose the exact best gaming chair that you were looking for! Let us know in the comments if you have any feedback about this buying guide. 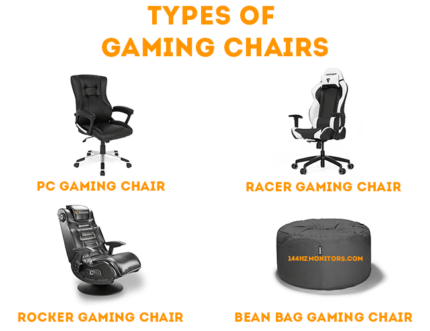 You can learn more about gaming chairs on sites like DXRacer, GamingScan, and Maxnomic. We hope we helped you choose the best gaming chair for your exact needs and budget. These are all amazing PC gaming chairs and we tested and reviewed each and every one of them thoroughly so that we were able to write some great PC gaming chair reviews in here. Want to know more about gaming chairs? Then check out Wikipedia and PCGamer.